Just because it’s summer time now doesn’t mean it’s time to stop knitting for yourself, or even for other people! In fact, this is a great time to knit because come fall and winter when everyone’s cold, you’ll have plenty of lovely knitted gifts on hand all ready to go. We love stockpiling certain knitted things because we find them useful and always in demand, especially in the baby department. 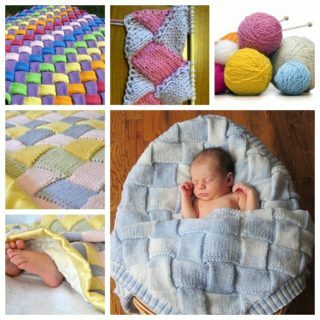 What’s our favourite baby thing to knit en masse and give away when it’s needed, you ask? Booties, of course! They’re simple, quick to do, and every new family needs them in abundance. They also come in more adorable designs than you’re probably even prepared for. 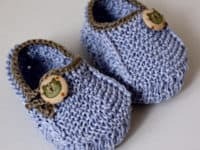 Check out these 15 irresistibly sweet knitted baby bootie patterns that will keep the little ones in your life nice and toasty while you keep busy! 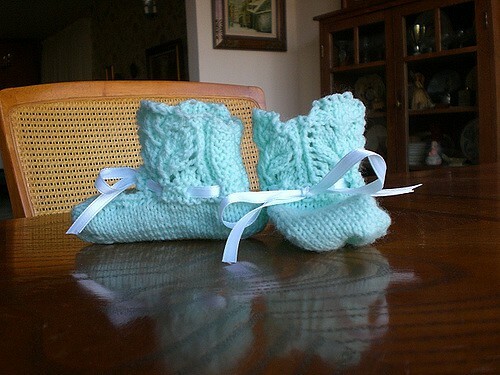 Does the idea of a new parent and their brand new baby wearing matching winter boots make you want to squeal in joy? 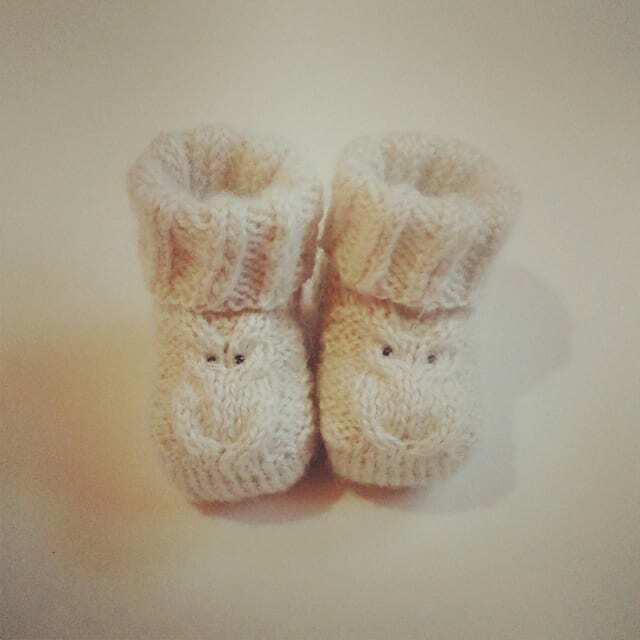 Then chances are you’ll have some luck making that happen by knitting these adorable Ugg inspired booties from Autumn Street! We love the way the tops fold down like cuffs. Here’s another Ugg boot mimicking pattern but with a bit of a different aesthetic for you! 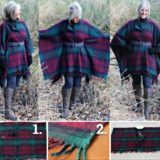 Maybe the parents of the baby you’re knitting for are very outdoorsy and enjoy a good rustic style in both their home and their personal fashions? 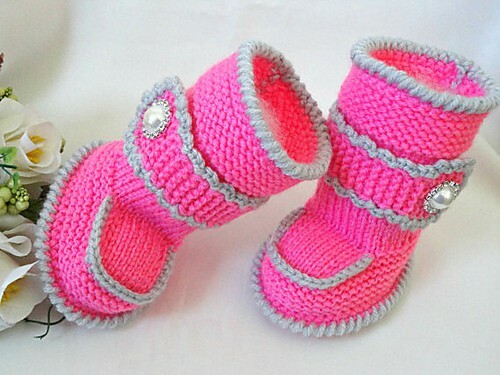 Then these tiny boots that are made from yarn that looks a little more worn are exactly what you need. 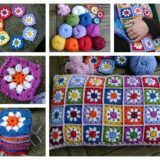 Get the full pattern on Marianna’s Lazy Daisy Days. 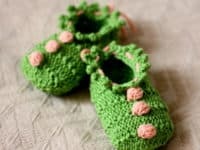 Perhaps the baby booties that you were picturing in your mind when you started searching for patterns and came upon our list were a little more traditional in nature? Then we think you’ll prefer these adorable lace booties with ribbon ties! No matter what colour you choose to do them in, the delicate lace will look absolutely stunning even before you thread a pretty silk ribbon through to finish them off. See how they’re done on Bernat Design Studio. 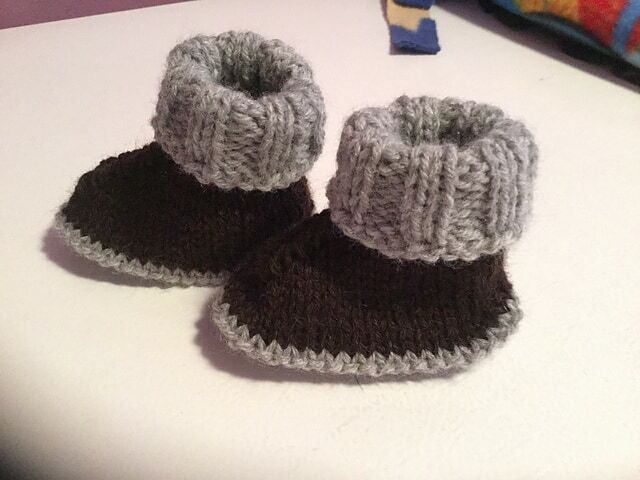 Are you still caught up in the idea of making cute baby booties that look just like adult style shoes but you’re not really into the Ugg boots idea and would rather make something more spring and summer appropriate? Then check out these hilarious little baby loafers by Julia Noskova! Baby will look ready to go sailing just like Daddy. Perhaps the parents you’re knitting for are big fantasy movie fans or lovers of Harry Potter, and they’re also always down for a good joke? 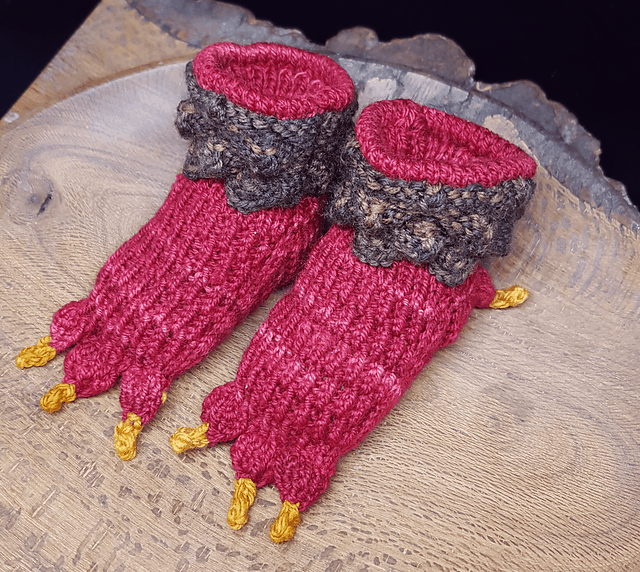 Then we definitely think they’ll appreciate turning their little one into a baby dragon with these silly dragon claw booties! 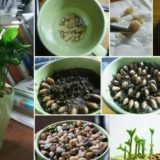 Find out how they’re made on Kathie Popadin. 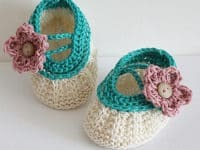 Are you a big fan of the idea of knitting a cute spring or summer shoe that Baby can wear the moment you’re done makin them rather than waiting for colder weather by the baby loafers just didn’t quite catch your eye? Then perhaps a girlier pattern like these Mary Jane style shoes with a little apple blossom flower on the side will peak your interest instead! 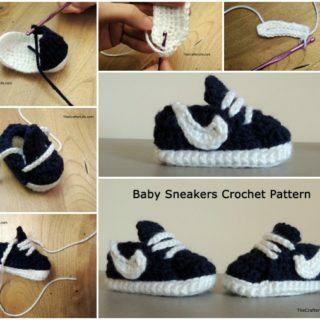 Julia Noskova guides you through the process of making them. 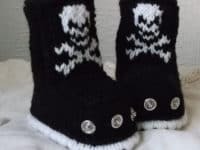 Did the idea of making funny novelty booties really grab your attention but the parents you’re knitting for have a darker sense of style than baby dragon feet? 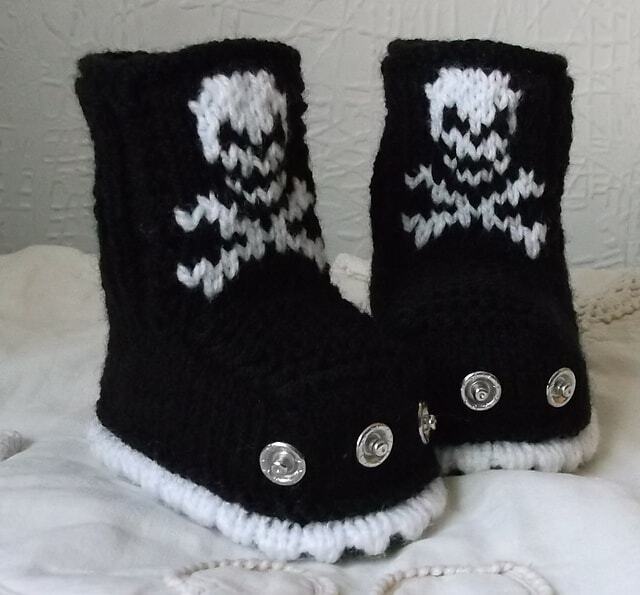 Then perhaps they’re prefer to dress their little one in these awesome “goth” boots! We absolutely love the way Baby Goth Knits used the textured side of a set of domes to look like spikes and studs! 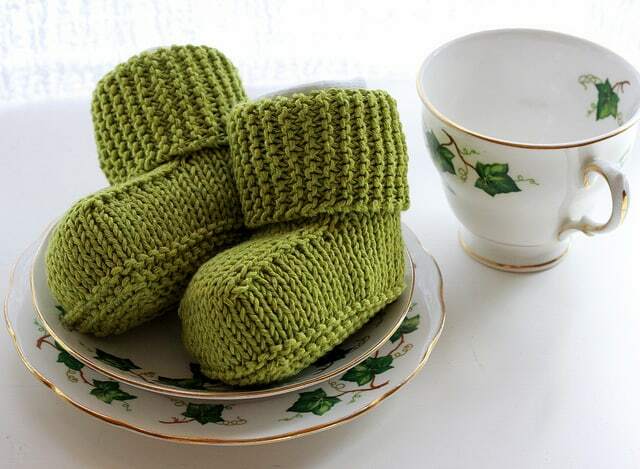 Perhaps you want the booties you’re knitting to have the utmost posh style and girly flare? Then you’ll probably love these high belted boots from Elena Mitchell! Besides the fact that they’re quite fancy in their style already, we love the way the makers of these booties added sparkling pearl buttons for a little extra something. 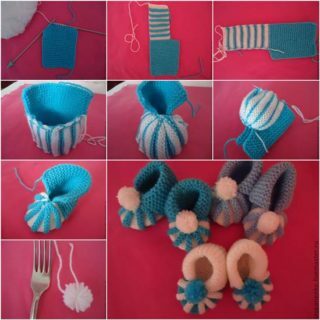 If you’re going to knit a warm, cozy set of baby booties, you might as well make sure that they’re really warm. That’s why we enjoy this higher cuffed bootie style so much and make them so often! We’re particularly fond, however, of the subtle Nordic inspired patterns on these boots by Anne Dresow. 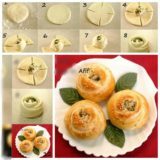 Think of how cute these would look with a similarly Nordic inspired shawl collared sweater! 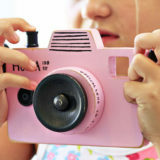 Are you looking for something a little more unique that the parents probably won’t be able to find in stores, but that’s still quite subtle and very clearly handmade? 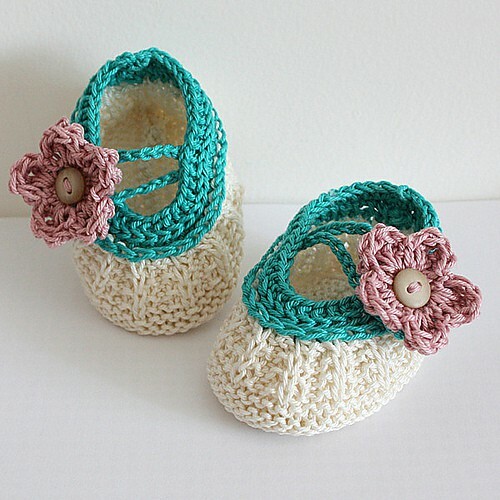 These wave inspired baby booties from Julia Noskova are the kind of thing that will get put away in a keepsake box and saved for years to come, or perhaps even passed down through generations. Perhaps your favourite thing to knit is a bright, cheerful flower, especially when it comes to happy baby garments? 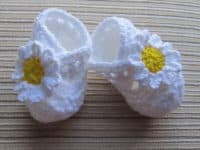 Then you’re going to love making these awesome daisy booties! 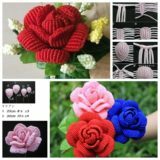 The shoes themselves are simple but will still stay on well, so the bulk of your time will be spent making the fun flower just like you wanted. 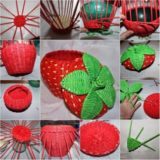 See the whole pattern on Yelena Chen. 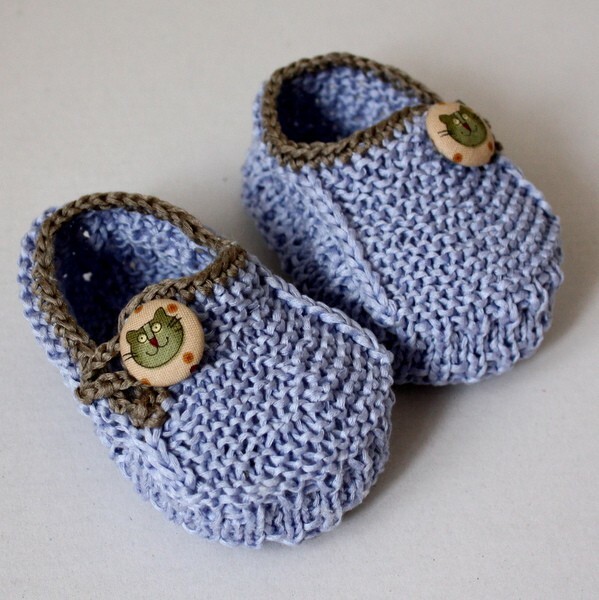 While we’re pretty sure the “cappuccino” part of the name here refers to the colour combination that the original creator decided to make the booties in, we’re convinced that these adorable little baby shoes with peekaboo stitches would look fantastic no matter what combination of shades you choose to do. We were also pleased to learn that they’re actually a lot simpler to do than the slipped through stitches make them look! See what we mean on Plekousa. 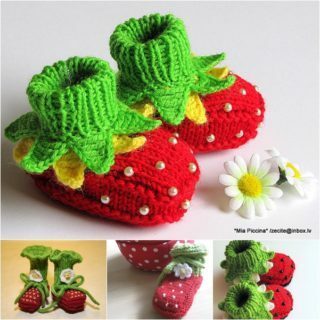 Are you still enamoured with the idea of making an adorable set of Mary Jane inspired knitted baby shoes but you’d really like to be able to embellish them in a very special way? 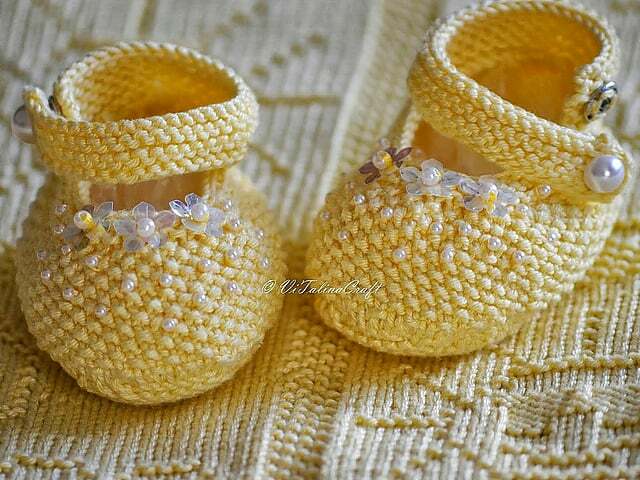 Then check out how Tatsiana Matsiuk not only knit these little yellow booties, but also made them look their absolute best by embroidering tiny little seed pearls all over the top! 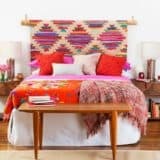 No matter what colour of yarn you use, your final product with this pattern will be absolutely stunning. 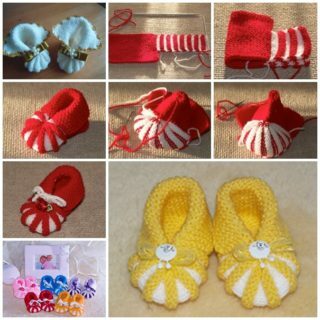 Have knitted baby booties always reminded you a little bit of funny elf shoes? Well, why not make a pair that look just like those then? Not every funny little elf shoe has to have a big curling toe like classic depictions of santa’s elves, though. 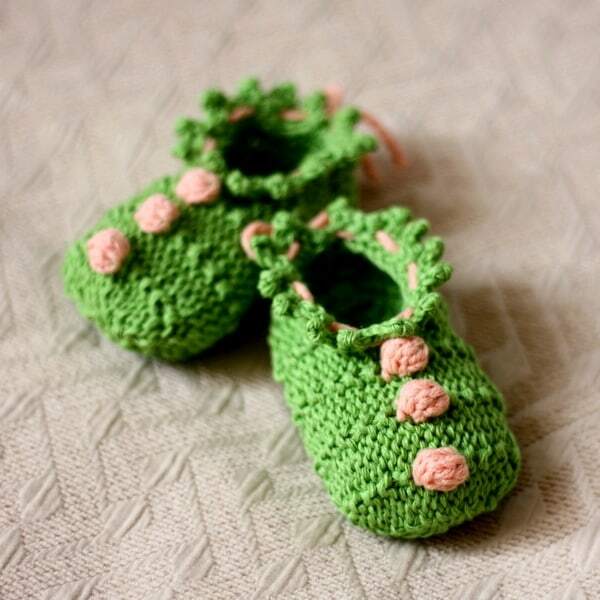 We think these sweet little green shoes with fun knitted knobbly pom poms down the top will do just fine! See how they’re put together on Julia Noskova. 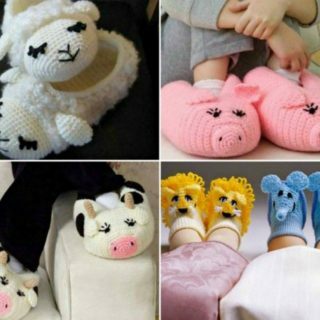 Have you been searching our list hoping to come across a cute animal inspired booties because those are your favourite kind to make? 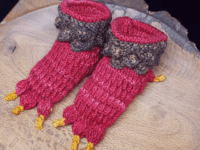 Well, we suppose dragon feet don’t quite constitute animal booties, so how about taking a look at these adorable little owl boots instead! 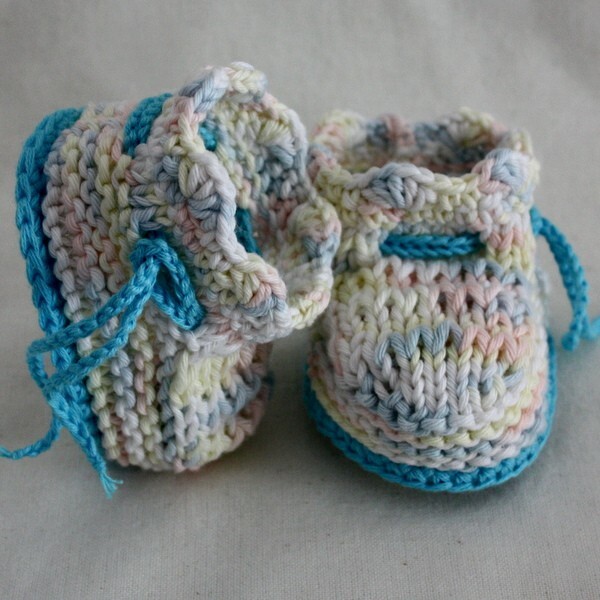 As long as you’re comfortable with a tiny bit of cabling then these booties will be a breeze for you. 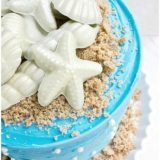 Check them out on Patricia Ostate.